The Quality Bus System (QBS), popularly known as Aayalolo, has halted operations for almost a week as a result of what officials described as technical hitches. 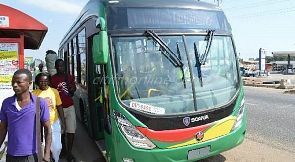 Operators of the buses, the Greater Accra Passenger Transport Executive (GAPTE), sent text and Whatsapp messages last Thursday at around 3.50 p.m. to its patrons, saying that its services would not be available in the evening from Tudu in Accra to various locations in the city following some technical hitches. It promised to inform passengers about the resumption of service when the anomaly was resolved by its technicians. But almost a week after that, the bus services are yet to resume leaving passengers frustrated. For many traders and workers living at Amasaman and its environs who relied on an Accra-Nsawam train to commute to and from the Central Business District before the train services was shut down, Aayalolo became a reliable substitute and with the buses grounded temporarily, their journey had become more difficult. “I have become used to Aayalolo because the services are reliable and the buses are comfortable. I parked my private car and have been riding on the bus from Amasaman since October last year. After getting used to it, I’ve been left stranded for almost a week now because the buses are not working,” a patron, Mr Daniel Agyeman Badu, complained. For Ms Cynthia Kpeglah, who claimed she had loaded her Aayalolo card with her monthly transportation money, the shut down of the bus service was now putting pressure on her finances. Another patron, Ms Araba Egyir, urged the company to speed up whatever it was doing to relieve patrons of the hassle they had to go through to commute to and from the CBD. The Communications Manager of GAPTE, Mr Fred Chidi, said the buses had been out of service because of technical and administrative challenges but expressed optimism that they would resume operations in the shortest possible time. He said the company was currently doing some alignment of schedules and route mapping to make the system more efficient and profitable. Aayalolo currently has 45 buses on its routes—Accra-Amasaman, Accra-Kasoa and Accra-Achimota, ferrying an average of 6,000 passengers daily. Mr Chidi said although demand had increased, it was mainly during rush hours in the mornings and evenings, leaving the company to scratch its head over what to do between 10 a.m. and 3 p.m. While apologising for the inconvenience the situation had caused passengers, Mr Chidi said the company had plans to increase the number of buses on the Kasoa route from six to 15 as demand had gone up. 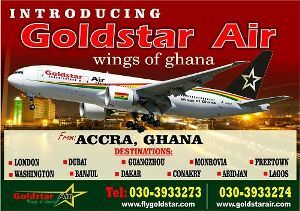 While stating that he could not provide figures on how much the company made daily off hand, the Daily Graphic’s calculations indicated that the company could be losing at least GH¢9,000 daily if the average number of passengers was multiplied by its minimum fare of GH¢1.5. The profitability of the Ayalolo system has come under scrutiny in the recent past. In June this year, a source at GAPTE told the Daily Graphic that 70 per cent of the company’s cash flow went into fuel purchase, while 30 per cent was used for the payment of salaries and other expenses, meaning the company could not break even.